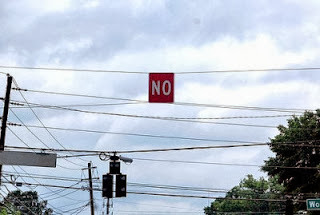 Do you have any plans for the weekend? I'm hoping to rest up, do some writing, and recuperate from this past stressful week. Wishing you all a great weekend! I love these! I am happy you came back and brought these with you! Have a great weekend! Hugs. Welcome back, Dana:) Missed this funny signs.. Thanks! It's so good to see you, Melgie! I hope you have a great weekend. Great signs and of course Ellen - who we don't have on our tellies over here. Thanks for the Friday uplift. Make sure you get enough rest at the weekend. Thanks, Sally. You make sure and get some rest too. I hope you're feeling better soon. Hehehe! Thanks for the Friday laughs. My hubby is coming back tomorrow after being away for 3 days for work. My little guy missed him a lot, so there will be time celebrating daddy's return! It sounds like you'll have a very good weekend! Enjoy it! I like all of these! lol! I'm off to a revision retreat...looking forward to getting some writing done this weekend. The revision retreat sounds fun. Best of luck with your writing! I love these beautiful photos! Saludos! 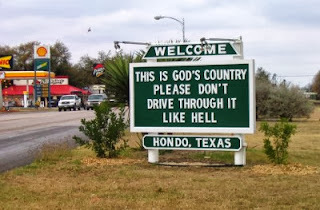 who knew hondo texas was so holy? Glad things are looking up. Thanks for the funnies. I'm shampooing carpets so I need some laughs. Glad you liked it! Thank so much—and happy weekend! Thanks, Bill. I'm still trying to get back into the swing of blogging, but I'm so glad I'm back! Those are hilarious! I've missed these while you were gone! Thanks for the giggles! Have a great weekend! Good to read this post. Here's to more good days. YAY! The Friday Funnies are back in business! :D Thanks for the laughs! :) Have a great weekend, Jackie! ☺ Thanks, Al. It's good to be back! Love them all. 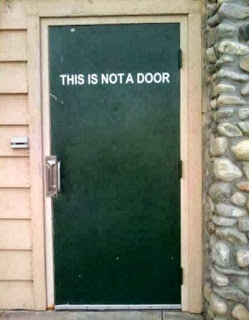 Especially the door. 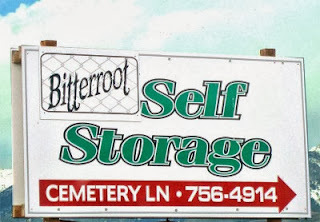 I vote for self-storage on Cemetery Lane. Runner up: SLAE. 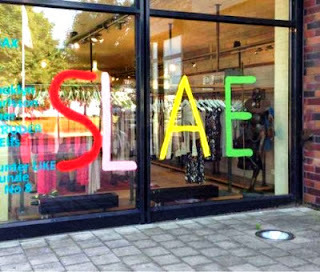 The SLAE sign has me itching to take out my editing pen! Ha ha ha !! hilarious! woo hoo- so great to have you back- we all missed you! Big hugs! Thanks, Kathe. I missed all of you as well! I'm glad. ☺ I hope you have a great week. Thank you very much Dana! 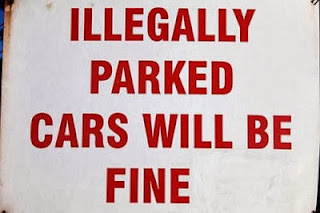 Funny signs and messages! Oh, I agree. :) Happy Tuesday! I missed these posts. They make me happy.